with a new range of delicious recipes. 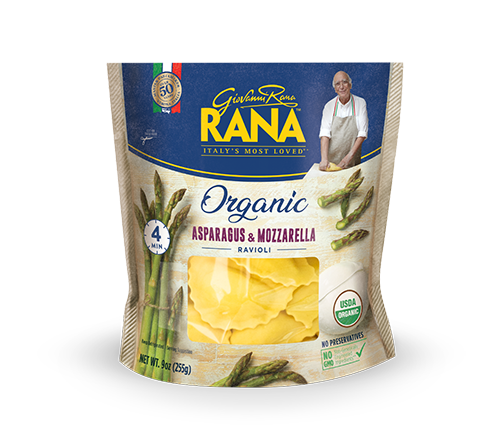 At Giovanni Rana, we strive to help you bring the very best to your family’s table. 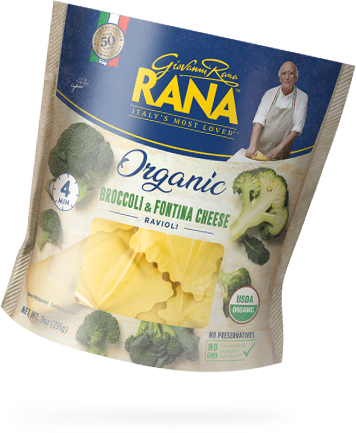 This means creating meals that are both wholesome and delicious. 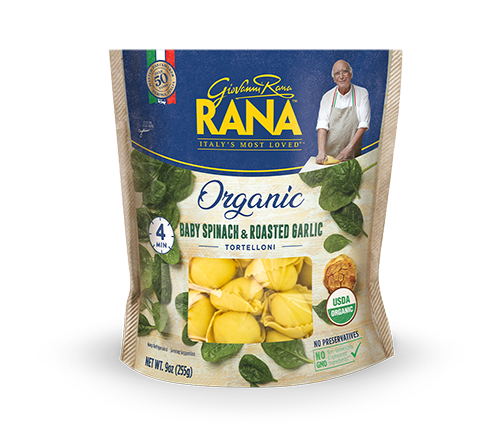 With over 50 years of pasta-making experience, Giovanni Rana is proud to bring you a new batch of recipes rooted in the flavors of nature. 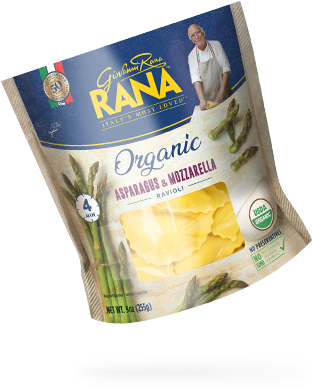 These original recipes are made with organic vegetables, such as fresh whole spinach leaves and crispy green asparagus, to give you unique tastes and textures in every bite. Vegetable amore! Let’s celebrate our love of good food together. 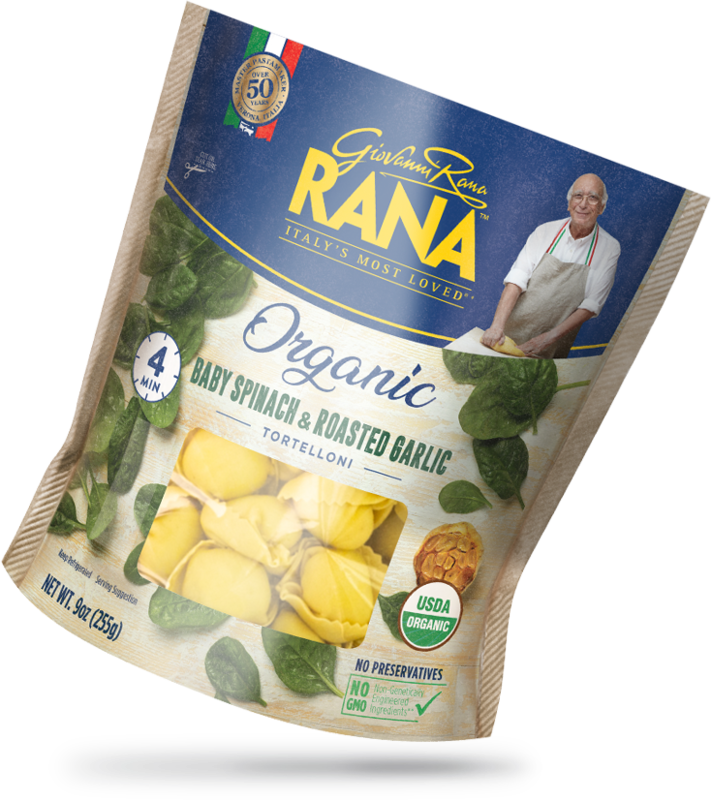 Our organic pastas are made with simple, clean ingredients. 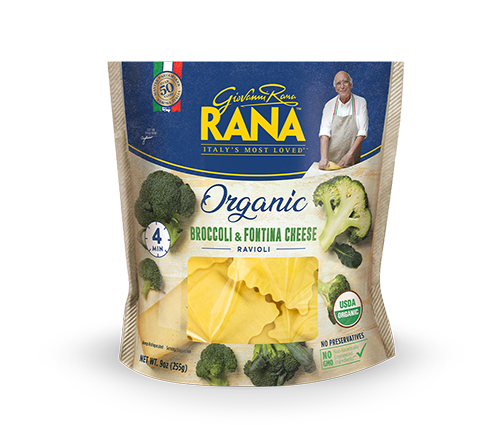 We use organic vegetables, cage free eggs, and a touch of herbs to create the perfect balance of flavors. We stand by our recipes, and there is truly nothing to hide. If you take a closer look, you can spot the colors of fresh vegetables under the dough of our tortelloni. We believe in letting the colors and flavors of nature shine through! 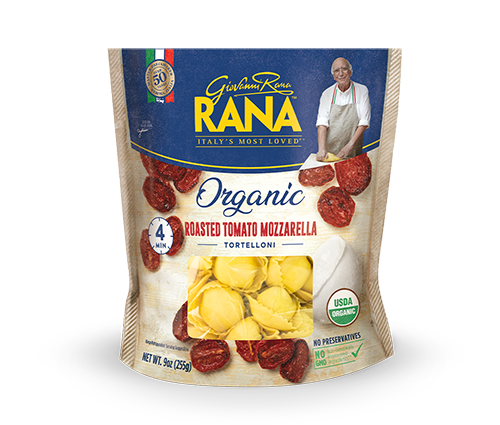 At Giovanni Rana, we’re always eager to take food further. 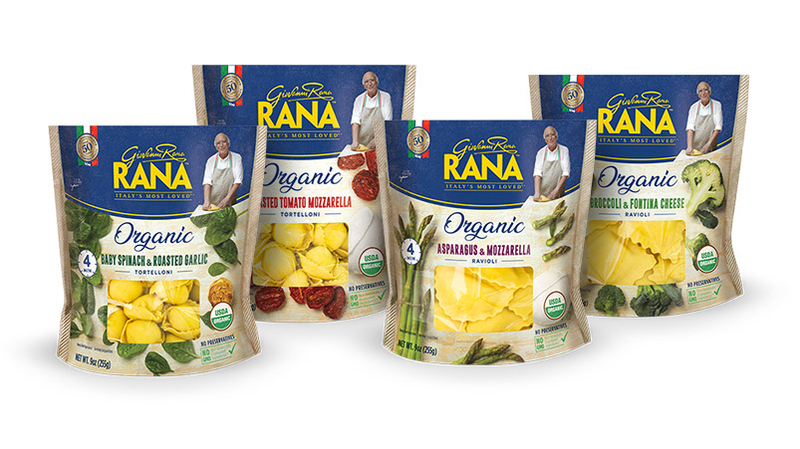 This time, we’ve used organic vegetables to create four delicious new pastas. 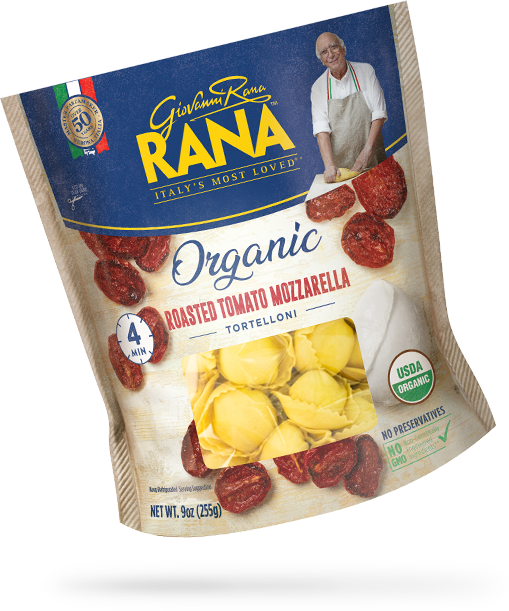 Roasted tomatoes are paired with creamy mozzarella and a hint of basil to create a classic Italian flavor combination. 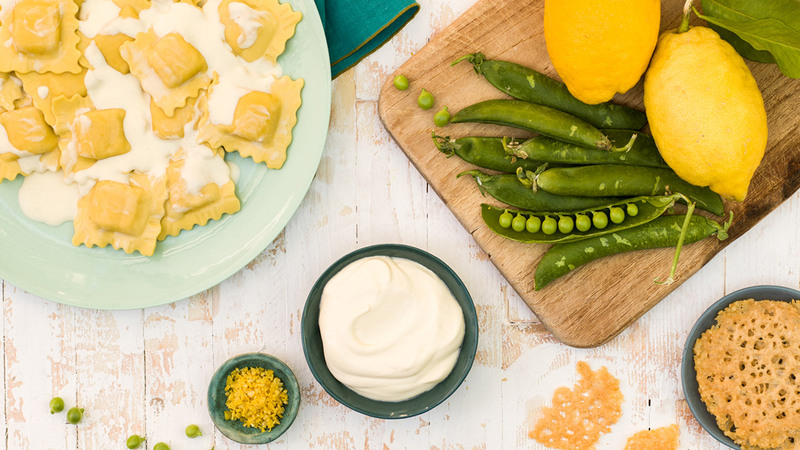 Need some inspiration in the kitchen?